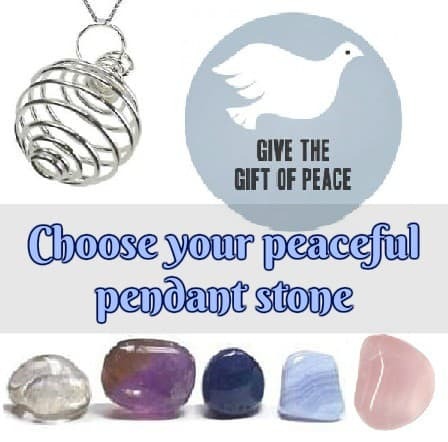 The Peaceful Pendant is one of our holiday favorites! Although seeking out peace can happen at anytime of year, it seems to be brought to our attention more so, during the holidays! 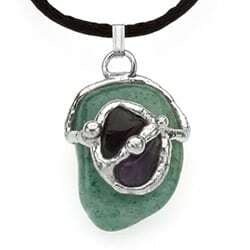 Whether it is a holiday or not, this wonderful pendant allows you to choose the stone of peace that calls to you! Rose Quartz: the stone of love, self-love, beauty, positive affirmations and nurturing, this peaceful stone brings heartfelt peace to both our heart and mind. Clear Quartz: this strong stone of clarity, harmony and balance allows us to find a more inner sense of peace within our selves. It works on levels of the higher consciousness. Amethyst: this deep, nurturing stone is useful for calming addictions, detoxing negative thought and leaving room for our own psychic insight. This powerful stone of intuition is the stone of tranquility. 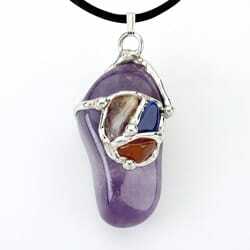 Dumortierite: is the stone of “tolerance and tranquility”. 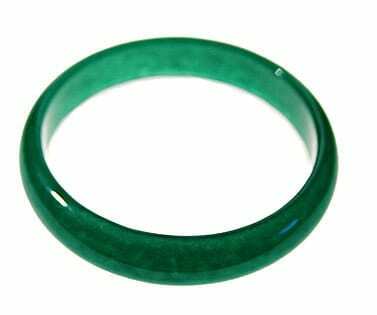 It is a precious indigo stone which promotes self-discipline, cleanliness, courage, trust, accomplishment, harmony, positive attitude, patience and tolerance. Blue Lace Agate: Helps to focus on the inner source of love within you that transforms and heals all emotional wounds. Contains the qualities of flight, air, movement, and grace. Highly inspirational when working with the inner self. 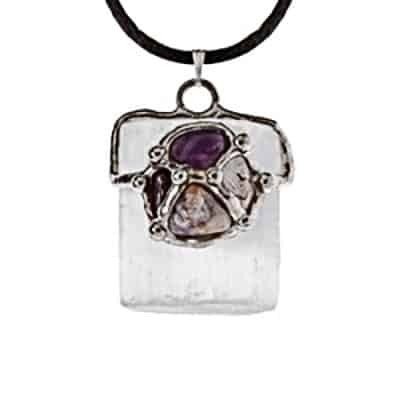 Choose your stone and your pendant and crystal will come with a 16″ silverform chain, instructions on how to use the stone, wear it, cleanse it and meditate with it! We also send along an organza pouch for storing and safe keeping.